Cannabis lovers love to use this phrase, “it has a great Terpene profile.” But seriously, WTF is a terpene profile and why should you care? Terpenes are large class of organic compounds made by plants and insects that provide a particular odor. These terpenes help protect a plant from herbivores or aid in reproduction by attracting bees or other symbiotic animals. Still too much science? Stop and smell the roses, enjoy the wonderful terpene profile! Terpenes are more then just the delightful aroma in the pot shop. Terpenes are the primary component of essential oils and are extremely useful in medicine. Ginger oil is great for nausea; turmeric oil is used for anti-inflammatory properties, orange oil is great for heartburn. The list is long for the uses of essential oils. Now, you may be thinking, ESSENTIAL OILS?! THAT’S HIPPY-DIPPY NONSENSE! 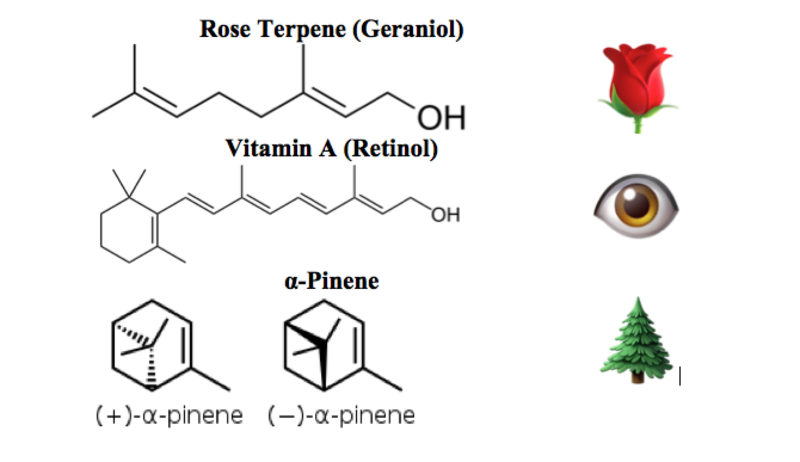 Terpenes are not just a perfume; they are biosynthetic building blocks for every living creature. For example, Vitamin A is a terpenoid, and without vitamin A you can go blind. So the terpene profile of cannabis is not just about aroma, but the medical benefits of the strain. For example, α-Pinene is a well-studied terpene found throughout nature in pine trees, the hops used for brewing beer, and many strains of medical marijuana. α-Pinene is a bronchodilator and anti-inflammatory terpene. Still too much science? It helps you breathe and reduces pain. So then what strains have α-Pinene? Follow your nose! Does it smell like Christmas? α-Pinene! But for the less discriminating stoner-nose, Jack Herer, Blue Dream, and OG Kush are known to be rich in α-Pinene. So come on down to Torrey Holistics and let us help you find the right terpene profile for your needs!